Revolutionary new 3D Vision technology shows a virtual 3-D behind-the-aircraft perspective of surrounding terrain derived from GPS and the onboard terrain database — a feature previously only available in our panel-mount avionics. Simply slide your finger across the touchscreen to rotate the view and show land and water features, obstacles, runways and airport signposts in relative proximity to the aircraft. Using its forward-looking terrain avoidance capability, aera 795 predicts in advance where towers or obstacles may exist and shades the landscape with amber or red overlays to indicate those areas. 3D Vision and other flight data are presented smoothly and continuously thanks to its internal GPS that provides position updates 5 times per second (5 Hz). 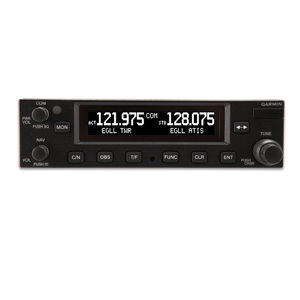 aera 795’s bright 7″ diagonal high-definition sunlight-readable display makes this detailed mapping easy to see in any lighting conditions and works in both portrait and landscape mode. 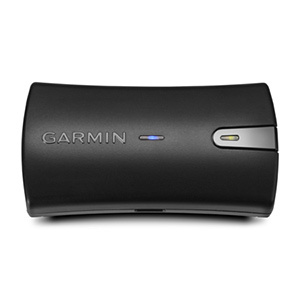 The physical design has been optimized to fit on the yoke or for use as a knee-mounted device. There are only 4 touch keys on the bezel for quick navigation to the most frequent used functions. All other functions are quickly accessed through intuitive onscreen icons with labels. This unique touchscreen interface even allows you to quickly pan across the map screen and pinch to zoom. 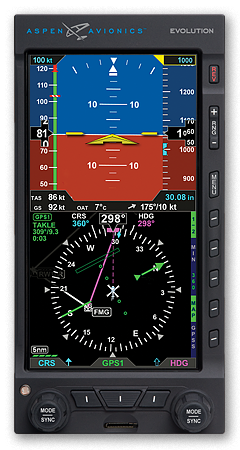 aera 795 fullfills the role of either a Class I or Class II electronic flight bag, greatly reducing the need to rely on paper charts in the cockpit. Initial georeferenced U.S. VFR sectional and IRF enroute charts come preloaded that show your aircraft’s position overlaid directly on the relevant chart. Optional European and Canadian VFR and IFR charts also are available. When in IFR map mode, the 795 can display victor airways, jet routes, minimum enroute altitudes and leg distance, much like what’s found on traditional enroute charts. 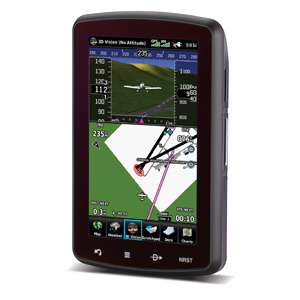 Initial georeferenced Garmin FliteCharts provide approach charts and airport diagrams for the U.S., Canada and Europe, while pilots who prefer Jeppesen charts and diagrams can use optional Garmin ChartView service, which utilizes Jeppesen’s extensive library to provide global georeferenced charting capabilities. 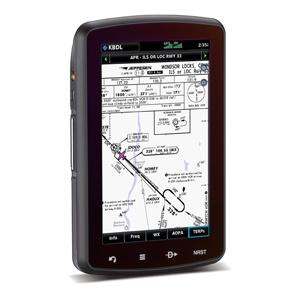 aera 795 also includes a robust document viewer, so you can easily pull up weights and balances, flight manuals, raster charts or a variety of electronically formatted materials you download to the device. A “scratch pad” feature also allows you to quickly jot down clearances and other pertinent notes while en route, while a checklist viewer allows you to create customized and interactive electronic checklists. AC-U-KWIK airport directory data instead. 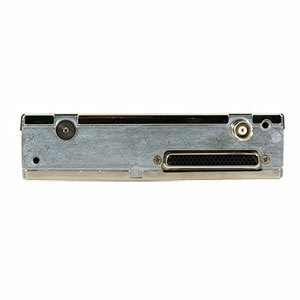 With 2 serial ports, aera 795 allows for simultaneous connectivity with other hardware. 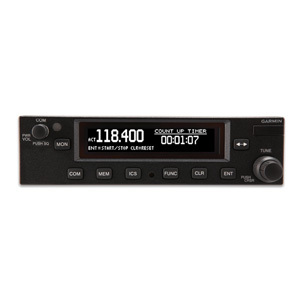 With an optional GTX 330 Mode S Transponder Interface, you can access Traffic Information Service (TIS) alerts, where available, right on the device while also sending frequencies to a GTR 225 Comm radio or GNC 225 Nav/Comm. It can even relay position reports to other devices. By adding optional City Navigator maps, both helicopter and fixed-wing pilots add street addresses as waypoints or direct-to destinations. 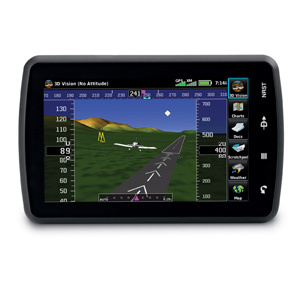 The device includes an SD™ card slot for easy updates and expansions; update, manage and purchase the latest aviation data for your aera through flyGarmin.